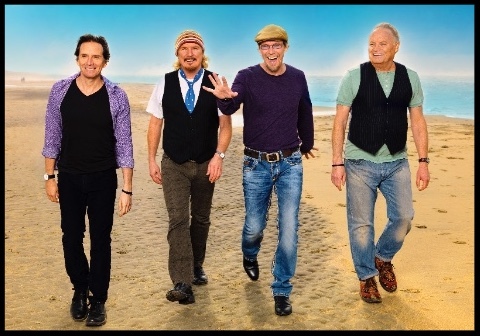 Venice The Band – News – Venice NL Theater Tour this FALL! Because the ON SALE dates for tickets are all different, below you will find all the NL Venues, Concert Dates, and ON SALE dates. Please choose your favorite venues and add the related ON SALE dates to your calendar so you can be the first to buy tickets! We are still finalizing the German shows and even working on a show or two in Scandinavia for earlier in November. Information for those will come in a future newsletter...and all dates will be added to our website once they are confirmed. We are really looking forward the upcoming open-air summer shows in Holland. We've posted those ticket links again, below, if you haven't got them yet. See you soon! The Pine Mountain Logs are on Fire!! The Logs are a fun, high energy, cover band started by members of Venice in the 90's. The Logs play mostly classic rock and funk hits from the 70's, 80's, 90's up til today. Covering songs from Led Zeppelin to Earth Wind and Fire - and everything in between!! Although the orginal Logs line up will not be there, if you haven't seen the Logs you owe it to yourself to check it out. Lots of humor and crazy medleys await you!